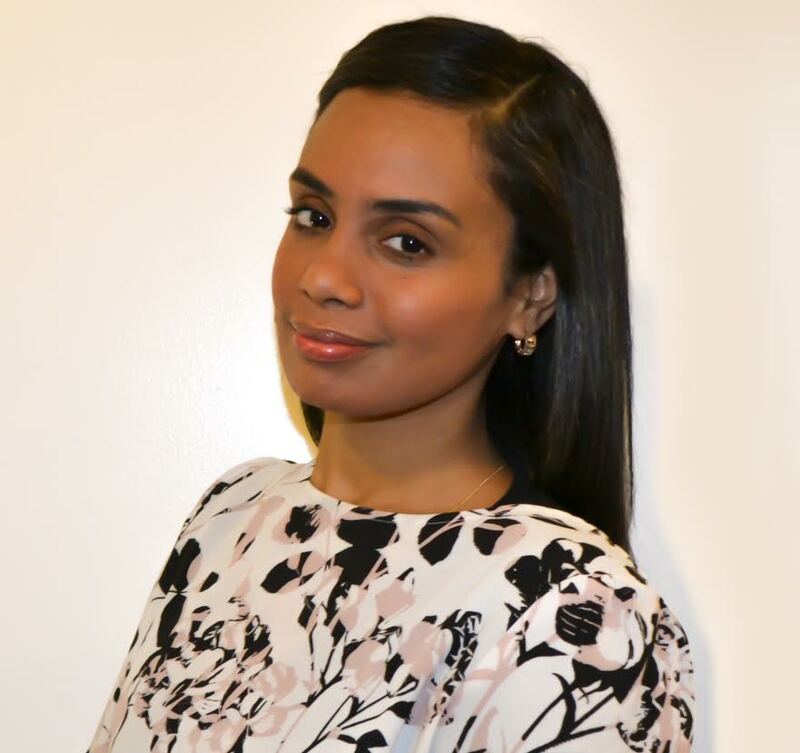 Mariela Regalado, is a Dominicana from Brooklyn who works as a College Counselor, helping to change the landscape for students of color attending institutions of higher learning. 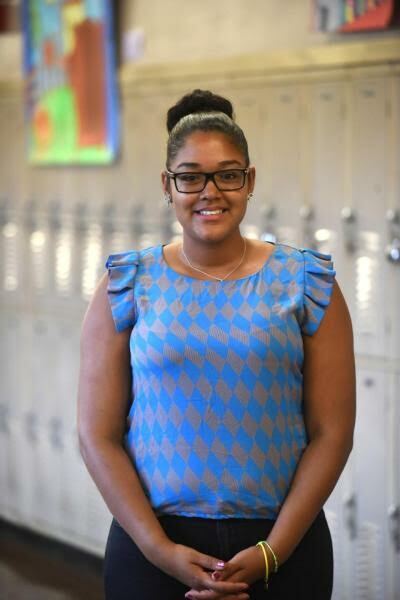 She works for the Young Women’s Leadership Network, College Bound Initiative program. Mariela chose to work at a middle school and high school located in the same neighborhood she grew up in. She was born in the Dominican Republic and raised between the Williamsburg and Bedford Stuyvesant neighborhoods in Brooklyn. She is able to pour her passion and experience into the work she does with students because she grew up with the same obstacles and circumstances they currently fight against. 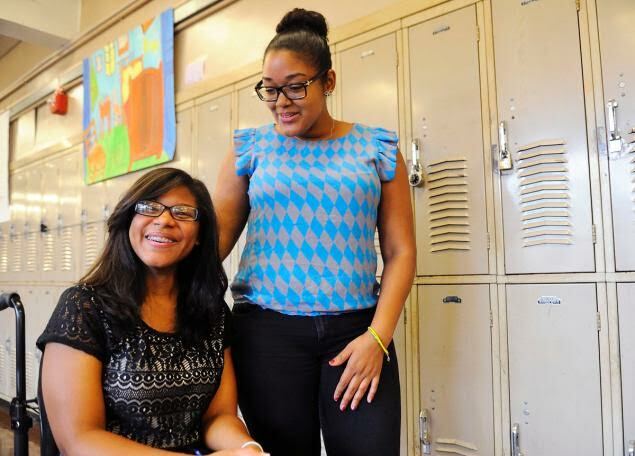 Mariela was recognized as a “Hometown Hero” in Education in the series created by the New York Daily News. The Daily News presents the Hometown Heroes in Education to showcase NYC educators who display generosity, compassion, dedication, selflessness and ingenuity. 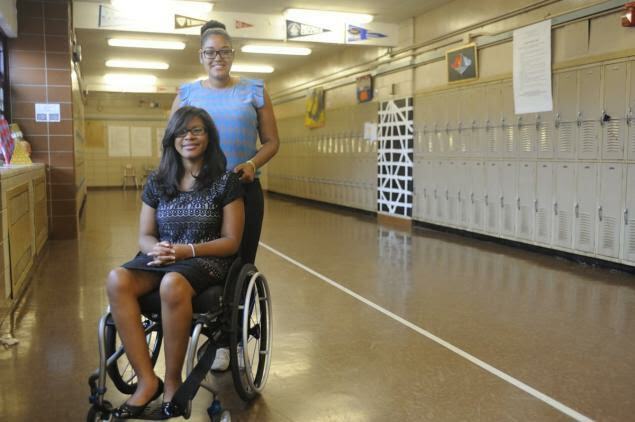 She was nominated for the award by Johileny Meran, a former student, and homeless teen with Cerebral Palsy. Johileny currently attends NYU and lives on campus on a full scholarship thanks to the guidance of Mariela in helping her craft a winning application and apply for financial aid. Last Fall, she was presented the award by James Milliken, the Chancellor of CUNY. A large percentage of her students attend CUNY schools, while 95% of her graduating class attends college upon graduation. During her birthday she was given the honor of introducing Mayor Bill De Blasio for his press conference on “Education & Equity”. It was because of her personal story and her work as a college counselor. She was inspired by her 7th grade ELA teacher to write. Recognizing the importance of giving students a safe space to create and find themselves through Art, she co-facilitates creative writing and poetry workshops. She hosts these monthly workshops with “Brooklyn Gypsies” at the Brooklyn Public Library for teens to unlock their creativity and strengthen elements of style. She is also a member of the Full Circle Ensemble and has performed with them in several events at the National Black Theater in Harlem. Mariela is currently working on documenting her multidimensional experience through bilingual poetry and prose. She is a daughter, sister, friend, counselor, mentee and mentor, foodie, writer, Latina, and the proud mom of a Pomeranian Yorkie named Lola. In 2013, Latina techie, Raygrid Calderon launched her mobile application, DreemKaCHer, under her new start up tech company DreemKaCHer ECLECTIC. The app made its debut on Apple’s iOS platform as a business networking tool for entrepreneurs, musicians, students and the creative mind. Those looking to get booked or connected are called ‘Dreemers’, while those looking for products and services are known as ‘Kachers’. The dynamic allows a balance between users on the interface where each person’s profile serves as an interactive resume. The company also provides users with information and tips to help people start their business while helping inspire and motivate those in unconventional working fields. Maribel Rivera is a Marketing Brand Specialist focused on creating brand stories that influence for clients that include not only global organizations but small businesses and individuals. Maribel develops brand strategies so that a company’s brand touch-points (corporate identity, product design, web site, online marketing, traditional advertising, PR and word of mouth) all work in harmony to create a positive perception in the mind of clients and prospects. A person of action, Maribel has developed strategies to attain her goals including learning to listen instead of speak. She is considered a social connector constantly networking, meeting new people and seeing what she could do for others. While being a single mom raising two sons of her own and taking in six other boys, Maribel climbed the corporate jungle gym moving through the ranks from secretary at 19 to VP of Marketing & Events prior to starting her own company in 2013. Maribel sits on the board of three associations – Women in eDiscovery, which is focused on developing women both professionally and personally and ARMA Metro NYC, an association for records and information management professionals and ACEDS NY Metro, an association which promotes e-discovery competence and professional development. She is currently working with a group to create mentoring programs in technology for young adults. In her spare time, Maribel can be found at the gym or shoe shopping. This year’s keynote speakers and honorees are Raygrid Calderon and Maribel Rivera, two women who exemplify everything a F.I.E.R.C.E. woman should be. Raygrid is a Latina applications developer and Maribel is a marketing brand guru. These women will be honored for their contributions in business & technology and will also be sharing their success stories with the attendees. Check back with The FIERCE Woman next week for all the highlights of the event. To learn more about our sponsors please visit their websites by clicking on the links above. In April of last year what started out as a small idea while sitting in my downtown Manhattan office to host an event where I could connect and unite women to celebrate everything that makes us FIERCE evolved into The FIERCE Woman Foundation. Last year we produced 3 events each of which sold out. This month we will be celebrating our 1 year anniversary and I could not be a prouder of what we have created. Though still in her infancy, The FIERCE Woman Foundation is committed to change the way women perceive themselves and each other. We are an unstoppable force. We are mothers, wives, daughters, sisters, aunts, friends. 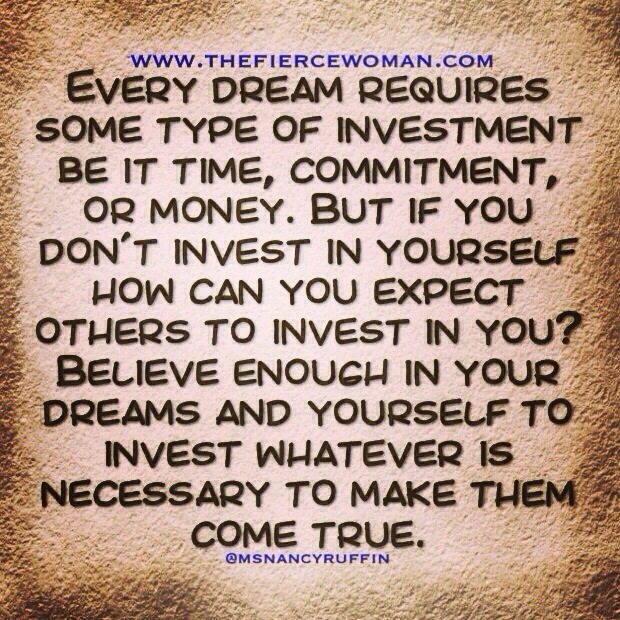 We are business women, entrepreneurs, leaders, coaches. For a very long time women have been taught to believe that it is almost impossible to have both successful personal lives as well as professional lives. I am here to tell you that it is possible to have both and to also live the life that you’ve always dreamed of because I am living proof. Please join me April 26, 2015 at the Mott Haven Bar & Grill as I celebrate the The FIERCE Woman One Year Anniversary Brunch & Awards Ceremony. This year’s theme is “I Am Every Woman: Celebrating the FIERCE Woman in All of Us” because women no longer have to choose between roles. We can do it all if we choose to. We will be honoring two phenomenal women who are making great strides in business and technology. These women are FIERCE women determined to make their dreams come true and are doing just that. In addition to being honorees they will also share their personal stories of success. They will wow you with their sheer will to get things done by any means possible. Where most people find an excuse they find a solution. They will share with you their pearls of wisdom on how to make it in business and succeed as a woman. Your ticket includes a pre-fixed brunch and your choice of unlimited mimosas, sangria, or non-alcoholic drink (for the duration of the event), complimentary manicures by Nails by Jassy, sweet treats provided by Cake Pops by Keyla, and unlimited access to some of today’s most influential women in business. Bring your business cards and charm and be prepared to mingle with some very successful women. Please note that this is a FEMALE ONLY event. Thank you to all who have supported us this past year. I look forward to seeing you all and celebrating this milestone with you. In April of this year with nothing more than an idea and a will to create something where women could come together, network, inspire each other, support and learn from each other, The Power of the FIERCE Woman was born. I did not know if my idea would be successful, but something stirred inside me and I knew that I had to listen to my inner voice. I listened to my heart, followed my passion and began planning my first event not knowing if anyone would attend. As with anyone who does something for the first time, I was afraid of failing. I was afraid that I would give it my all and no one would show. Boy was I wrong. I planned the first event and to my surprise it sold out. What I had set out to do was really happening and it was exciting. 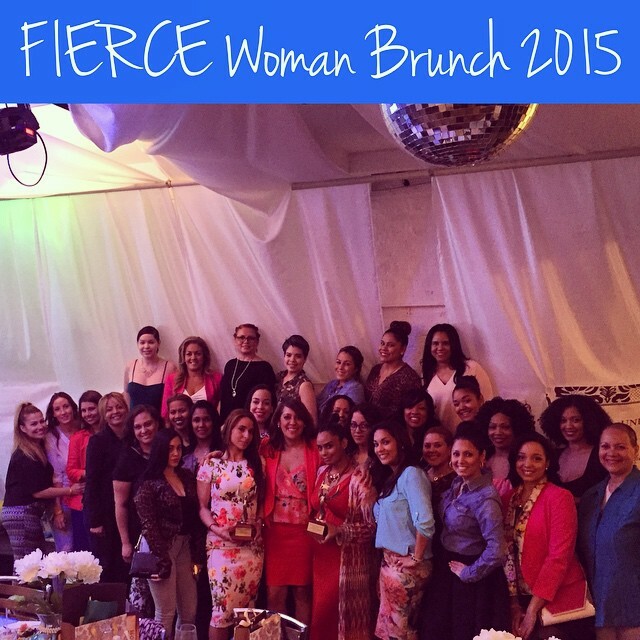 Our first event was The FIERCE Woman Brunch where myself and two other women (Justine Hornedo & Wendy Angulo) hosted more than 50 women for an afternoon of food, drink, and inspiration. We shared with the amazing group of women how to rise above the challenges we all face throughout our lives and come out on top better and more successful than ever by sharing our personal stories. The event was so successful that two months later I hosted another event that focused on setting goals and following through. With the intimate group of 20 women I showed the women how to identify and break down goals into smaller, manageable goals, set deadlines and execute. They created vision boards to help keep them focused on their goals and finally spoke their dreams into the Universe by sharing with the group some of their goals for the upcoming year. After the event the women left Katalina’s Bar & Grill motivated, inspired, and focused. Most of the feedback I got from women who attended one of our events was positive and affirming. They commended me for putting together such inspirational events that connected women from all walks of life and appreciated the intimate settings that the events provided. They were able to connect with the speakers and hosts in a way that made them feel comfortable and feel as if they were sitting in their living room with their girlfriends. Their feedback was further proof to me that I was onto something great and knowing that I was helping women transform their lives really made me feel good. In September, in honor of Hispanic Heritage Month I put together an all female Latina Entrepreneurs Panel at Maranello in New York City, which showcased 5 successful Latina Entrepreneurs and they discussed how and why they went into business for themselves. They shared pearls of wisdom with the women in attendance on how to create successful businesses. As 2014 comes to a close I can’t help but feel excited for what lies ahead for The FIERCE Woman. What I did this year doesn’t even begin to scratch the surface for how far I want to take this organization. I am committed to empowering every woman who comes my way. There is a shift happening among women and little by little I am seeing more and more women lift each other up. That is the movement that I am committed to. So as I bid farewell to 2014 I am grateful for all of her lessons and the opportunities she gave me. She will always be a special year for my because it is they year The FIERCE Woman was born and as I prepare for our 1 Year anniversary in April I promise that it will be fun, exciting, and full of everything that women have come to expect from The FIERCE Woman. Stay safe and be blessed. Happy New Year. We are starting the Autumn season off with a bang. The Power of the F.I.E.R.C.E Woman will be celebrating Hispanic Heritage Month with an event focused on bringing FIERCE, like minded female BOSSES together. 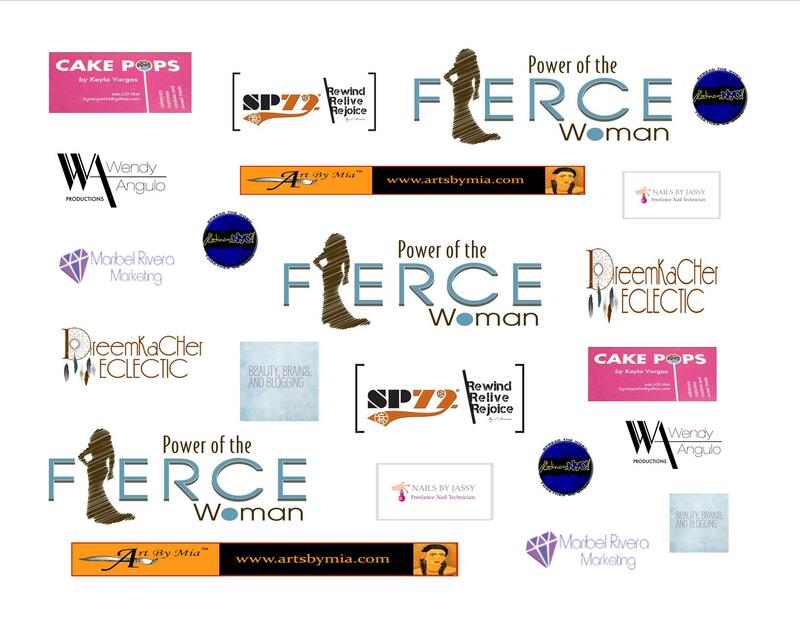 Join me September 24, 2014 at Maranello’s as I host the very first Power of the FIERCE Woman Entrepreneurs Forum. This event is designed to inspire other female entrepreneurs to pursue their entrepreneurial dreams by connecting them with women who have gone into business for themselves and have been successful. According to recent data from the U.S. Census Bureau. Women are pushing themselves out of the shadows today and taking their entrepreneurial talents to the forefront. Over the last 17 years, women-owned businesses have increased dramatically, with more than 9.1 million women-owned businesses operating in 2014, up from 8.6 million in 2013. This surging-growth pace, which has doubled in three years, has helped to generate nearly $1.5 trillion in revenues for women-owned businesses. Given these statistics it’s no wonder why more women are opting to go into business for themselves. If you have a talent, gift, idea, or passion that you know is a great business venture and want to capitalize from it, but aren’t sure how to get started then this event is for you. This interactive Q&A panel will connect you with 4 successful female business owners who are willing to answer your questions and share with you how they did it. So come prepared with your questions and ask these women anything you want about what it takes to start your own business. Seating is limited so make sure to purchase your ticket now to reserve your seat. Do not miss this opportunity to network with fierce like minded women living out their dreams. All proceeds from the FIERCE Woman Entrepreneurs Forum will be donated to Amanda and Chris Bernier who have personally been affected by ALS. Amanda Bernier’s diagnosis hit only days after she and her husband Chris received joyous, surprising news: They were expecting their first child, their miracle, the baby they’d wished for during years of working side by side as firefighters and emergency medical first responders. Amanda and Chris have learned she has the most aggressive form of the disease. She has already begun to lose the ability to move her arms and legs and will lose the power to talk, swallow and breathe. Eventually paralysis will set in and then, death. Within weeks, Amanda’s condition has worsened to the point where she can no longer walk and has lost over fifty percent of her respiratory capacity. She is living as long and strong as she can for the sake of their baby girl. She doesn’t know if she will get to meet her baby face to face. The donations collected will be used to help the Bernier’s off-set some of the costs they have incurred in making their home wheel chair accessible and spacious enough for Amanda to move around in her wheelchair. Her wheelchair does not fit in their bathroom or kitchen. To all who purchase tickets know that your dollars are going towards a great cause. Want to learn how to shift your thinking from a “I can’t do this” mindset into a “I must do this” mindset? Want to learn how to stay in track with your goals to achieve ultimate success? Want to learn how to balance your home, family and work life and make your dreams come true in the process? Then this is the workshop for you. 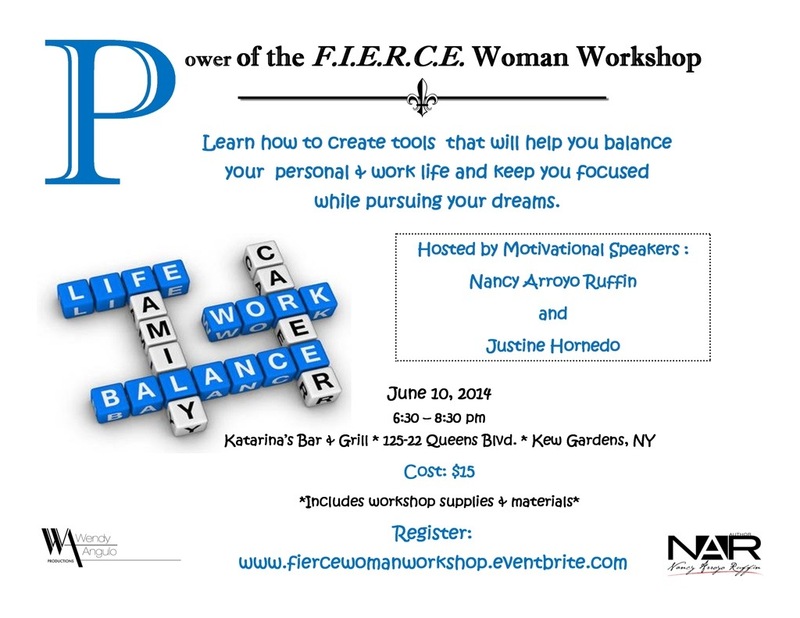 The Power of the FIERCE Woman Workshop is an interactive workshop designed to show you how to create the tools necessary to help you balance your personal & work life and keep you focused while pursuing your dreams. In collaboration with Wendy Angulo Productions and Katarina’s Bar & Grill, join Motivational Speakers Nancy Arroyo Ruffin and Justine Hornedo as they teach you how to get and keep yourself on track. This event is limited to 40 women and is expected to sell out quickly. The Power of the FIERCE Woman Workshop is an interactive workshop designed to show you how to create the tools necessary to keep you on track, focused, and committed to your dreams. The workshop will be limited to 40 women. 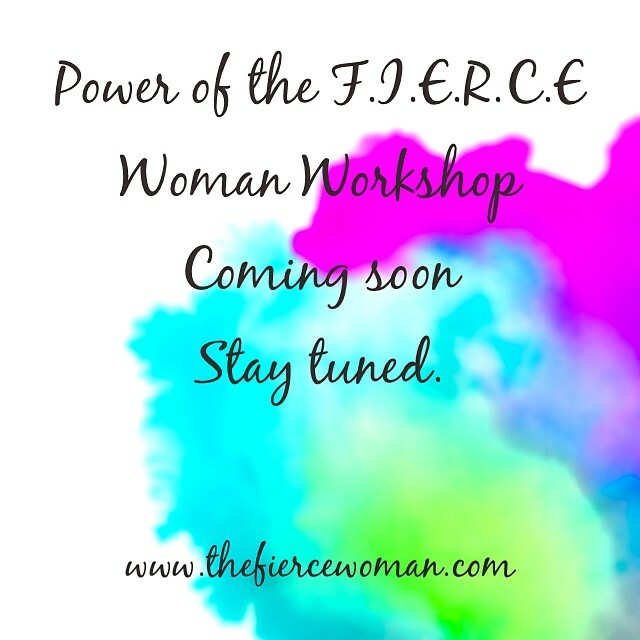 This is the first in a series of Power of the F.I.E.R.C.E Woman workshops. More details coming on location, time, and how to register coming soon. Visit www.thefiercewoman.com to stay updated on all the latest Power of the F.I.E.R.C.E Woman news.